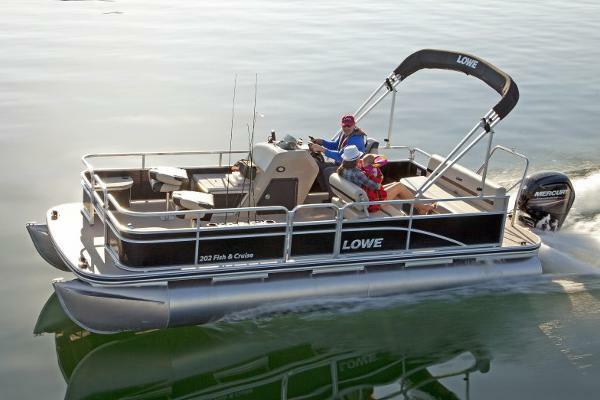 2016 Lowe Ultra 162 Fish & Cruise The best quality combines with incredible versatility and ease in the Ultra Fish & Cruise 162, designed by Lowe to empower a variety of on-water activities without the hassle, and without blowing your budget. 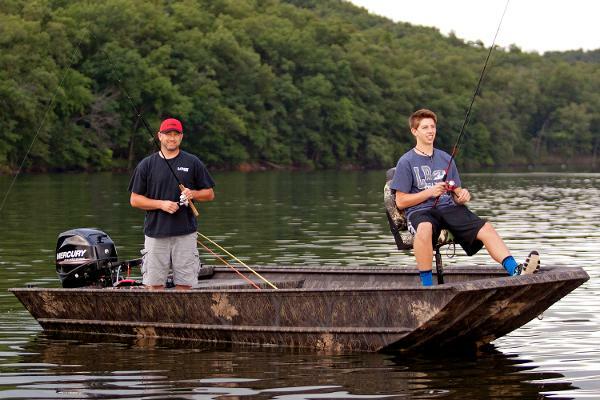 Enjoy fishing, cruising, exploring and all-around living it up with your family and friends. Folding bow fishing seats, premium Mercury® power options and an array of premium optional accessories let you customize your Ultra Fish & Cruise 162 for years of perfect days. Please note: This boat model may or may not be in-stock. A Nationally Advertised Price, if listed, may change without notice or include accessories not fully described herein. Please contact your local, authorized dealer for exact details on model availability and package pricing. 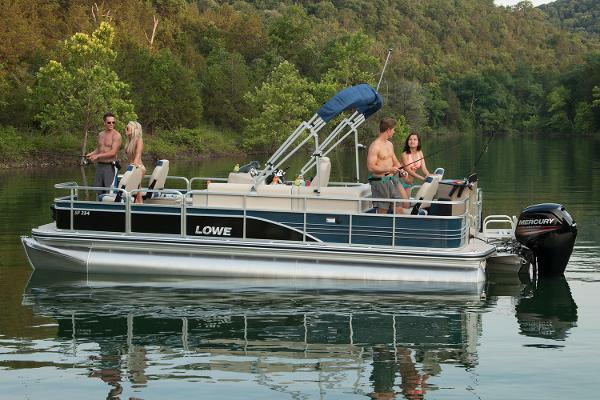 2016 Lowe SS250 Walk-Thru Step aboard the Super Sport 250 Walk-Thru pontoon boat and prepare to fall in love. Top-quality Lowe construction means details like full-width cross members for total support. And with the SS 250 Walk-Thru, you get plenty of oversized bow and aft seating, plus premium amenities like a Fusion® Marine stereo and a 9-foot Bimini top. All in a spacious, center walk-thru layout that gives you and your crew loads of room to spread out and soak up the action. Please note: This boat model may or may not be in-stock. A Nationally Advertised Price, if listed, may change without notice or include accessories not fully described herein. Please contact your local, authorized dealer for exact details on model availability and package pricing. 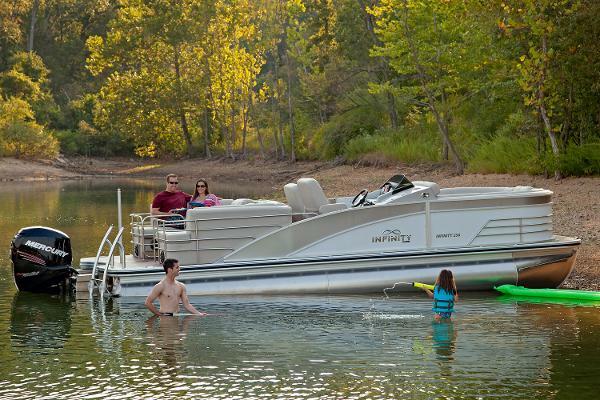 2016 Lowe Infinity 270 RFL The Infinity 270 RFL from Lowe might just change the way you look at pontooning. 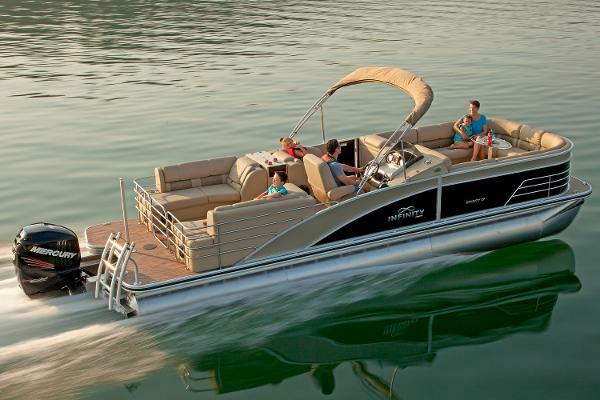 Luxury touches abound, from the plush diamond-weave upholstery to the ergonomic raised helm platform to the many spacious seats, including twin rear-facing lounges offering prime water views. Premium amenities ensure all-day comfort and ease. Step aboard and into the future of Lowe. Please note: This boat model may or may not be in-stock. A Nationally Advertised Price, if listed, may change without notice or include accessories not fully described herein. Please contact your local, authorized dealer for exact details on model availability and package pricing. 2016 Lowe Roughneck 1860 Big River Lowe guarantees its lightweight, durable and wood-free construction, an aspect that’s on full display in the Roughneck 1860 Big River. 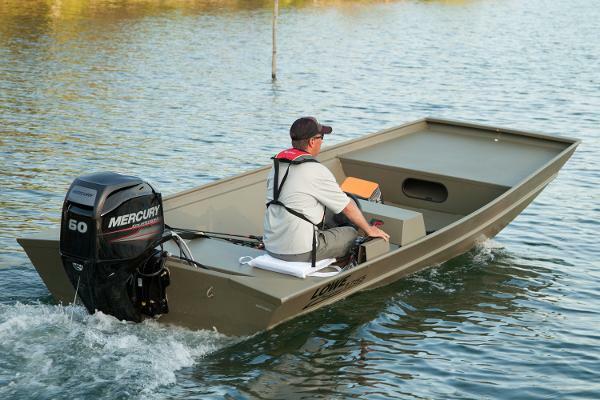 This versatile fishing boat gets you right where you need to be, thanks to reliable, efficient Mercury® power. And with its spacious design and numerous options to increase storage capability, the 1860 Big River is built to withstand anything you throw at it. Please note: This boat model may or may not be in-stock. A Nationally Advertised Price, if listed, may change without notice or include accessories not fully described herein. Please contact your local, authorized dealer for exact details on model availability and package pricing. 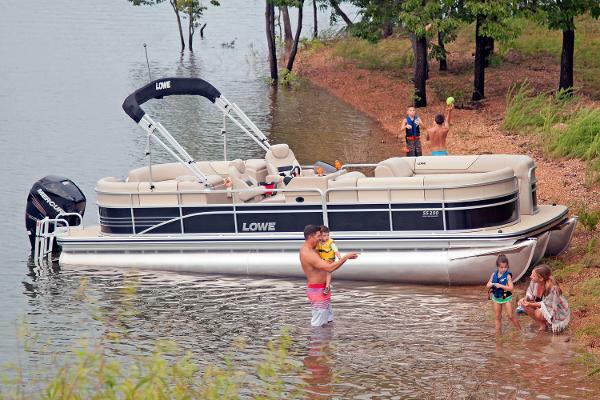 2016 Lowe Roughneck 2070 Big River The biggest jobs call for the best and the toughest boat. 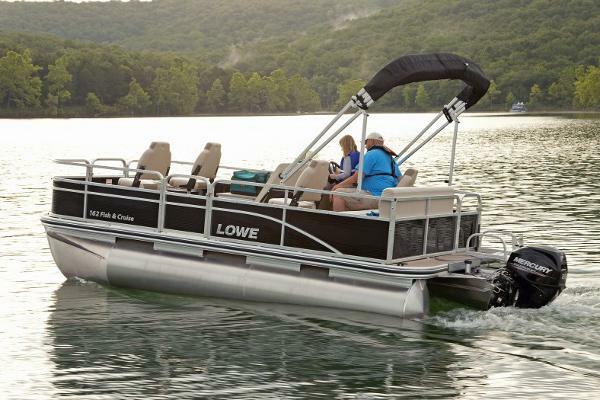 Lowe delivers with the Roughneck 2070 Big River, featuring a huge load capacity and a durable all-welded, all-aluminum hull that makes this Roughneck the most capable option for any and all of your most demanding days on the water. With a giant 54 inches of bow deck space and storage for your gear, the Roughneck 2070 Big River is your ace in the hole. Please note: This boat model may or may not be in-stock. A Nationally Advertised Price, if listed, may change without notice or include accessories not fully described herein. Please contact your local, authorized dealer for exact details on model availability and package pricing. 2016 Lowe Roughneck 1655 Big River For versatility and strength, the Big River never disappoints. Whether you’re chasing the biggest fish or tackling the biggest job, the Roughneck 1655 Big River is your ultimate ally. 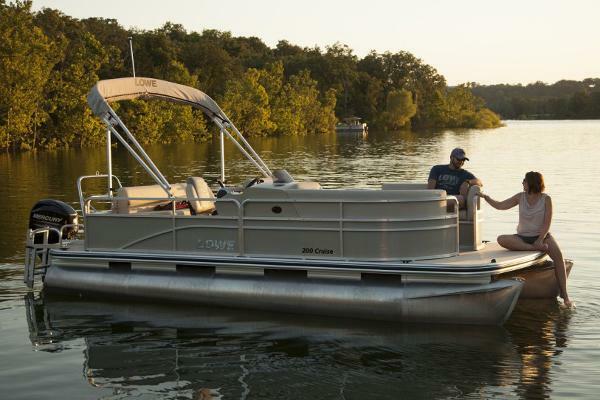 Reliable all-aluminum, all-welded construction and huge storage space make the Big River a perfect companion for a day on the water. 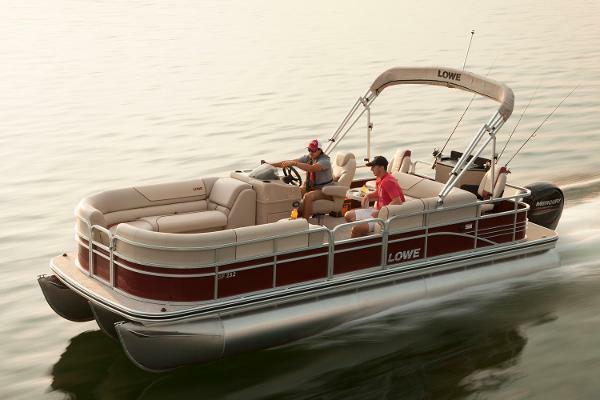 And with Lowe Boats’ award-winning customer service, you’ve always got the boating support you need, on and off the water. Please note: This boat model may or may not be in-stock. A Nationally Advertised Price, if listed, may change without notice or include accessories not fully described herein. Please contact your local, authorized dealer for exact details on model availability and package pricing. 2016 Lowe Roughneck 1755 Big River Get on the fish and get the job done with a top-value Lowe Roughneck. 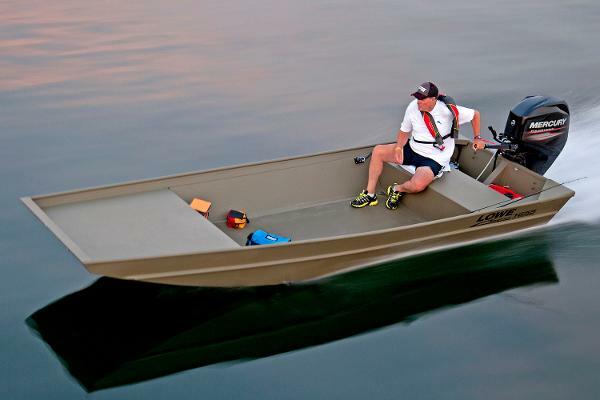 The 1755 Big River features a wide beam for huge capacity and lasting all-welded, all-aluminum construction to support your fishing and outdoor needs. 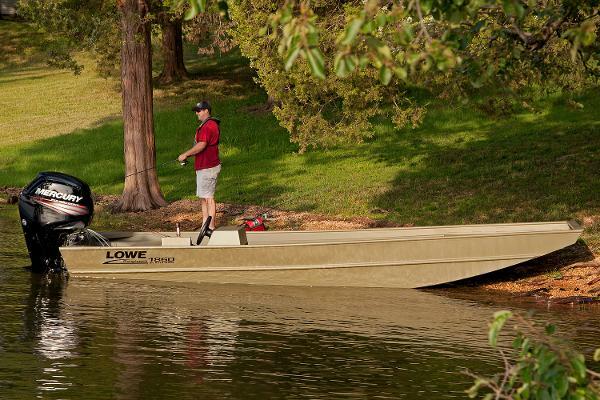 Ample space, strong and reliable Mercury® outboard power and additional options make this Lowe fishing boat an excellent choice. Please note: This boat model may or may not be in-stock. A Nationally Advertised Price, if listed, may change without notice or include accessories not fully described herein. Please contact your local, authorized dealer for exact details on model availability and package pricing. 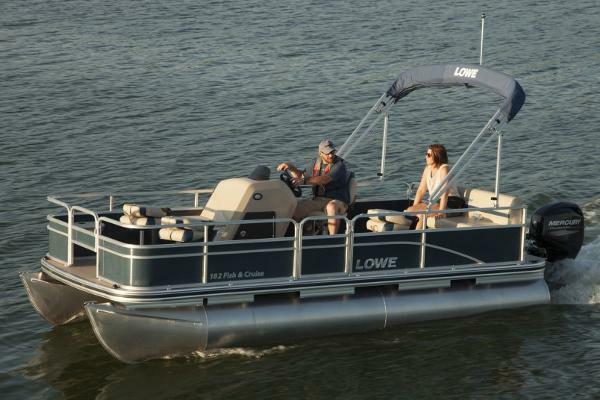 2016 Lowe Roughneck 17DT The Lowe Roughneck 17DT provides all the intuitive response of tiller control with the extended front deck of a side console. 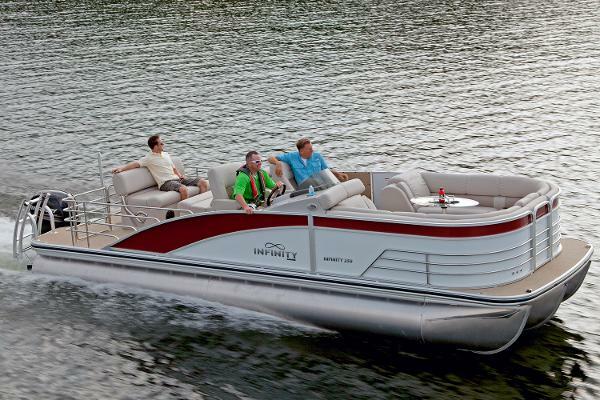 This all-welded steed features an 18-gallon aerated livewell, a wide-open floor, a winged rear bench seat, starboard rod storage and more. Maximum strength and durability are ensured with SuperLock™ all-aluminum, .100 gauge construction. 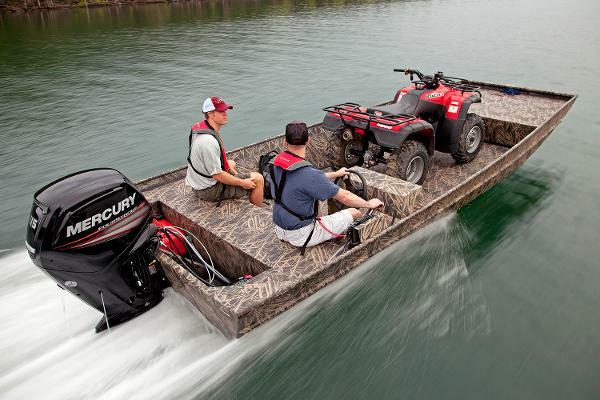 Rated for 60 HP, this tough and durable multipurpose vehicle lets you do it all with confidence. Please note: This boat model may or may not be in-stock. A Nationally Advertised Price, if listed, may change without notice or include accessories not fully described herein. Please contact your local, authorized dealer for exact details on model availability and package pricing.